Delaware and United States coins have a special relationship. The First State, which has been honored on several of our nation’s coins over the last century, is a short drive (or Main Line ride) from the United States Mint in Philadelphia, where our nation’s coins have been made since 1792. The United States Mint draws tens of thousands of visitors each year and is one of the most popular tourist draws in the Greater Philadelphia Metro area. 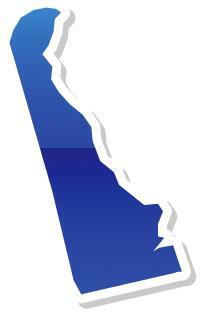 People also love Delaware, and they do in big numbers, too! According to Executive Director of the Greater Wilmington Convention & Visitors Bureau Sarah Willoughby and Delaware Business Times, 8.5 million tourists enjoyed the First State in 2015 and spent more than $4.3 billion here. Delaware offers an eclectic mix of Colonial history, diverse natural beauty, and many nationally known landmarks – several of which have been proudly featured on United States coinage. Some of these Delaware coins are worth hundreds of dollars while others are worth just their face value. However, it’s safe to say that any numismatist (an individual who collects and studies coins) will find the real-life stories behind the Delaware landmarks on these special coins fascinating. Which beloved First State treasures grace our nation’s coinage? Let’s take a numismatic trip through Delaware and explore these cool landmarks and the coins that honor them! 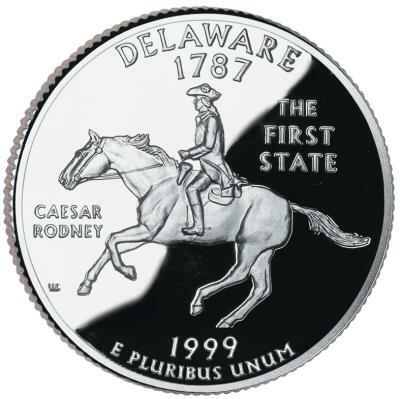 When many people think of Delaware coins, their minds probably first turn to the 1999 Delaware quarter featuring Caesar Rodney astride his horse. The Kent County Revolutionary hero served in the Continental Congress and rode horseback 70 miles through a thunderstorm from Dover to Philadelphia on the night of July 1, 1776 to break a deadlocked vote for our nation’s independence. How did Caesar Rodney ride his way onto the 1999 Delaware quarter? According to former Delaware Governor and 50 States Quarters advocate Michael Castle, the decision came at the recommendation of a panel. “We put together a group to study the initiative, and one of their jobs was to find a recognizable symbol for the Delaware quarter,” says Castle, who also served as the United States Representative for Delaware’s at-large congressional district. Rodney, one of Delaware’s most historic figures, became a top pick. “We had a huge event at Rodney Square to announce the new quarter,” he recalls. The effort to launch the 50 States Quarters program in 1999 took many years, receiving a huge boost on Capitol Hill when Castle pitched the program before Congress. “When I learned the quarters would be issued in the order the states were admitted to the Union, I decided it was a very important effort,” chuckled Castle, who served in Congress when the bill authorizing the 50 States Quarters was passed in 1998. “I think people have enjoyed the coins tremendously,” he says. The United States Mint once estimated 100 million people, or about a third of the nation, collected 50 States Quarters during their heyday in the early 2000s. “I know many people who collect the 50 States Quarters and put them in cardboard holders, and I’ve done the same,” Castle remarks. While Caesar Rodney’s likeness has become one of the most recognizable designs on the U.S. quarter, it doesn’t even cost 25 cents pay a visit to the 1922 statue by artist James E. Kelly that helped inspire the design on the 1999 quarter. 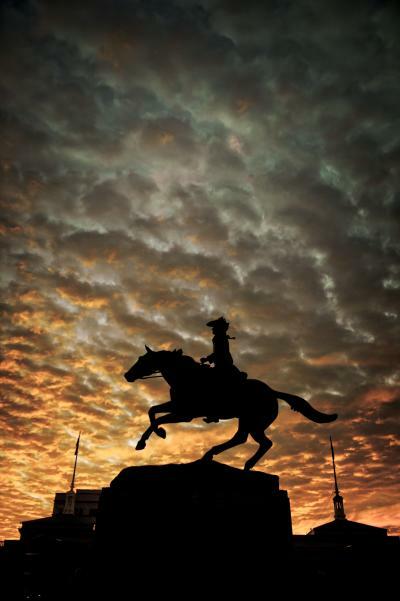 The public can freely access the Caesar Rodney statue standing sentinel in historic Rodney Square, which was designed in the early 20th century by John Jacob Raskob. Those visiting the Wilmington statue at 1000 N. Market Street by way of their personal vehicles should be prepared to pay a nominal parking fee at one of the nearby street meters or parking garage. Just blocks away from Rodney Square in downtown Wilmington is another popular First State landmark that has appeared on a U.S. coin. 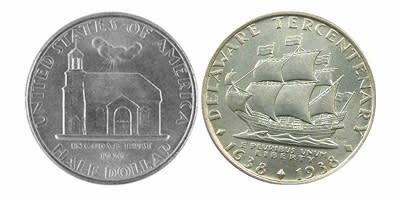 Holy Trinity Church, perhaps better known as Old Swedes Church, is one of Wilmington’s most treasured landmarks, and it was featured on a commemorative half dollar that was minted in 1936 to honor Delaware’s Tercentenary, or 300th anniversary, in 1938. The landmark, shown on the obverse (“heads side”) of the coin shares a featured spot on the 1936 commemorative half dollar with a reverse (“tails side”) portrait of the Swedish Ship Kalmar Nyckel, which in 1638 carried the Swedish colonists whose descendants built Old Swedes Church in the twilight days of the 17th century. The Delaware Tercentenary half dollar is dated 1936, was produced at the nearby United States Mint in Philadelphia during 1937, and features a dual date of 1638-1938 to mark Delaware’s 300th anniversary. On the coin, three diamonds surround the 1638-1938 dual-date feature representing Delaware’s historic moniker as “The Diamond State” and symbolizing the state’s three counties, which include New Castle, Kent, and Sussex. The Delaware half dollar, which originally sold for $1.75 each, is now worth 100 times that amount, or $175. It’s certainly not a half dollar you’re likely to find in your pocket change, but thankfully you can pay a visit to Old Swedes Church for relatively little coin. Old Swedes Church, known as the “nation’s oldest church building still used for worship as originally built,” is an historic treasure trove. “People love the graffiti on the wooden doors,” says Rebecca Wilson, executive director of the Old Swedes Foundation. “It dates back to as early as the 1720s, and it’s all from the 18th and 19th centuries.” The graveyard, meanwhile, dates back to before the church was consecrated on June 4, 1699. “We believe the first burials occurred somewhere between 1638 and 1640,” Wilson says. Tours of the graveyard are available, and during select days in October visitors can enjoy special ghost tours at the burial grounds. “The ghost tour is based on two stories from the 1820s and ‘30s, when people heard the church bells ringing in the tower late one night, but found nobody there ringing them,” she explains. Wilson says many unusual occurrences that happened at the church in its earlier days have been since explained, but the story of the ringing bell remains a ghostly mystery nearly 200 years later. 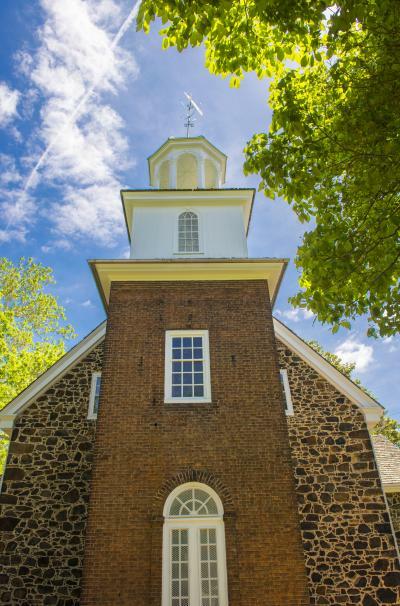 Today, the church stands as one of the last vestiges of the original Swedish colonists who settled Delaware in the 1600s. Visitors can get a glimpse of their rugged life in the neighboring Hendrickson House. “It was built in the 1720s and was moved here to save it from demolition,” Wilson says. The house, noted as a prime example of Swedish colonial architecture, originally hails from nearby Chester, Pennsylvania, and was carefully dismantled before being reconstructed adjacent to Old Swedes Church. Admission to Old Swedes Church begins at $5 per person, and individual memberships are as low as $35 per year and include a variety of benefits, including access to the Old Swedes research library, a newsletter subscription, and year-round access to the Old Swedes Historic Site, Old Swedes Church, Hendrickson House, and burial grounds. For more information, visit http://www.oldswedes.org/ or call (302) 652-5629. Did You Know? Sweden honored the 300th anniversary of the settlement of Delaware with a special 2 kronor silver coin featuring the Kalmar Nyckel (Key of Kalmar), the Dutch-built merchant ship that carried Swedish and Finnish settlers to the colony of New Sweden in 1638. 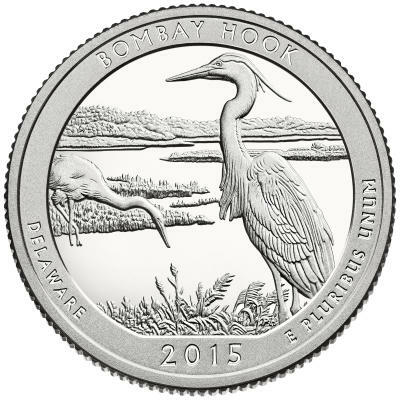 In 2015, the United States Mint honored Bombay Hook National Wildlife Refuge on the Delaware issue of the America the Beautiful Quarters program. Those who visit beautiful Bombay Hook National Wildlife Refuge in Smyrna will find it little wonder the 15,978-acre preserve was chosen to grace the newest Delaware quarter. “The refuge is great for those who enjoy birding and wildlife viewing,” says Bombay Hook National Wildlife Refuge Manager Oscar Reed. Spring is a wonderful time for viewing shorebirds and snow geese. “We’ll get up to 100,000 snow geese here – you’ll see huge flocks,” says Reed, who has served for nearly two decades at Bombay Hook. He says summer is an active time for hummingbirds and butterflies, and the fall brings a variety of migratory birds. What about the winter, when snow is on the ground and overnight lows drop into the teens and 20s? “Even in the snow, species are active here,” Reed remarks. Those who make the trek to Bombay Hook will see dozens of gourds hanging from several towers near the park’s visitor center near the entrance of the wildlife refuge. What’s up with those? “They’re for our purple martin colony,” says Reed. Purple martins are large, broad-chested swallows with dark blue-purple coloration and brown-black wings. Out West, they live in woodpecker holes and other types of nature-made homes, but here in the East, they tend to live in manmade structures. 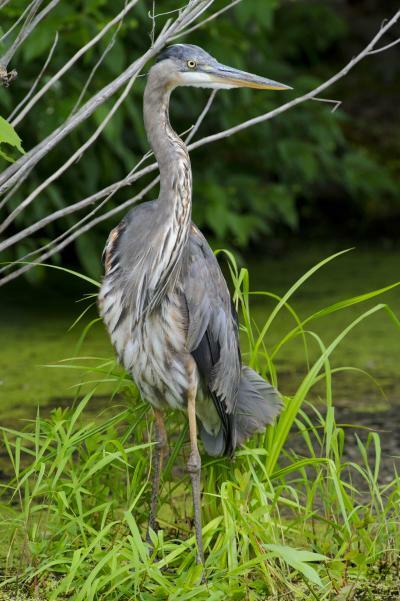 There’s more info about the birds at eBird tracker, and unusual birds seen here at the park can be tracked on the Delaware Rare Bird Alert. Bombay Hook National Wildlife Refuge can be reached in fewer than two hours from virtually anywhere in Delaware, and park admission costs less than a typical trip to Starbucks. Visits to the wildlife refuge are just $4 per carload, per visit – or, perhaps more appropriately, the cost of just 12 Bombay Hook Delaware quarters. Only $12 buys a yearlong pass. Joshua McMorrow-Hernandez is an award-winning numismatic journalist and travel blogger whose work has appeared in Philadelphia Magazine, TheFunTimesGuide.com, CoinWeek, COINage, The Numismatist, and many other publications. He is also the author of Images of America: The United States Mint in Philadelphia (Arcadia Publishing, 2018), a book that explores the colorful, centuries-long history of the Philadelphia Mint. The Florida native enjoys Delaware's beautiful beaches, parks, museums, and other landmarks, and he proudly calls the First State his "unofficial home away from home."